Small and large Operators are looking at alternate management systems to drill, complete and repair wells. 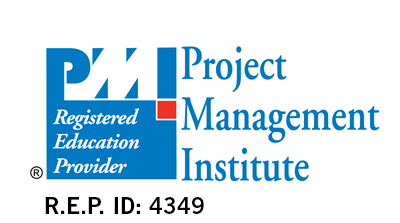 This training course looks beyond the conventional internal model and presents other approaches that employ External Project Management (EPM) teams and Integrated Services (IS) to improve the overall value. To conduct well construction and large-scale down hole rejuvenation projects, an Operator must employ a technical engineering team and many specialized products and services. The traditional approach has been to retain internal resources that design the program and select individual suppliers to execute the work. In many circumstances, this may not be possible or does not yield the best results. Understanding these concepts and identifying where they add value is important to improving wellbore construction efficiency. Knowing the general steps to put these methods in place will allow Operator personnel to select and support the best EPM and IS approach for the application. External suppliers will learn how to participate successfully in offering and providing support to these alternate approaches. This 5-day highly-interactive PetroKnowledge training course prepares the participants to effectively develop, administer and participate in externally-managed well construction projects. The training course spans the key elements of a project from initial analysis through set up and execution using an independent and/or integrated approach. The participant will also learn useful tools for procurement, bridging and performance management that can be applied in many different fields. An experienced engineer who has worked extensively in this area the industry and has good teaching skills will lead the participants of this course. Materials and working documents will be made available to aid students in understanding and future use. The instructor will describe case studies and examples of design, administration and operations. Participants will be encouraged to present their own experiences and develop techniques from the syllabus that will work in their area of business. Competency Description: Initiation of a clear understanding of the process and how various elements interrelate. The session will develop critical thinking on where project management and integration are core to success. Competency Description: An appreciation of where the EPM and IS approach can be utilized with corresponding HSE, quality and financial considerations. Develop a financial model to demonstrate value. Evaluate the best suited style of EPM and IS options. Competency Description: Application approach utilizing specific methods of input to the basic elements of well construction and repair.